Unless you are an avid reader of French blogs and reviews most of the people who read this are likely only to ever come across Oxsitis through one of two places, the first is via the Hoka running bag (which is made by Oxsitis) or through the countless images I’ve posted across my own social media extolling the virtues of their products. 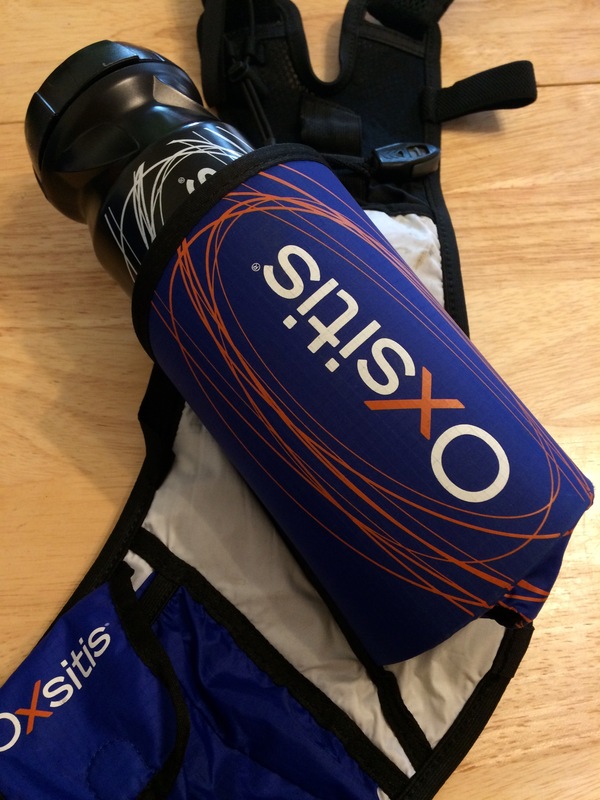 I first came across Oxsitis when I was looking for a replacement for my original Ultimate Direction PB race vest – I wasn’t keen on the v2.0 as this didn’t look like a serious upgrade and I had recently tried the Hoka Evo bag at the London Marathon Expo in 2014 (just there for the expo not the race). They didn’t have any for sale but they had one to try and it was amazing. Lots of pockets, incredibly lightweight and a little organiser system on the inside. I went home and began researching the bag and eventually discovered that the bag was made by a relatively new French manufacturer ‘Oxsitis’. Reviews were limited and stockists even more so but after finding out as much as I could I took the plunge and bought the Hydragon 17l – the most deceptively brilliant race vest I’ve ever owned. Later that year I was in France for the CCC and happened to be staying near a place called Albertville which has the single most awesome running and outdoor store in the universe Au Vieux Campeur it had everything – lots of Hoka, tonnes of Raidlight, Grivel and brands I’d never come across OMG I was in some kind of running heaven. 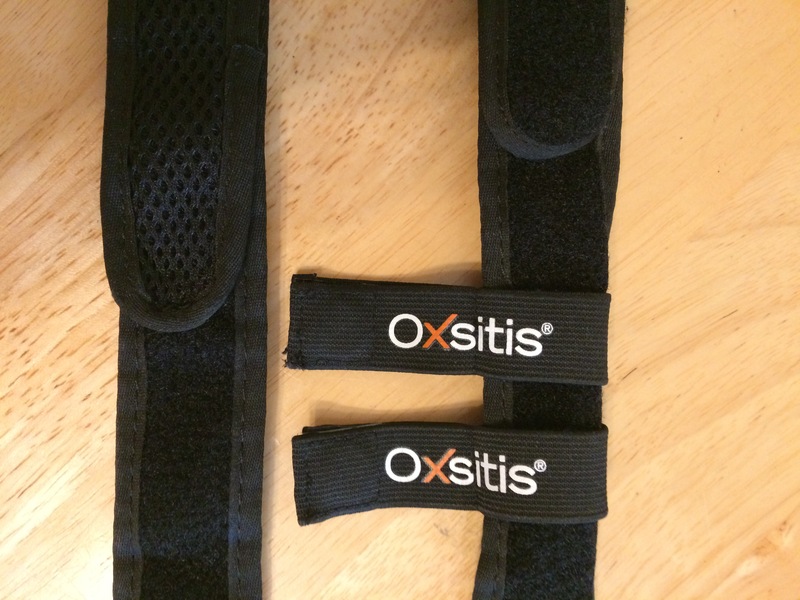 I spent hours poring over items I had no reason to buy, I tried on everything and bought quite a few things – but the one piece that is relevant to this post is the Oxsitis Hydrabelt. I’m no fan of running belts as I find they ride up and ultimately aren’t very comfy – I’d much rather wear a race vest and spread the load across my back but the CCC had an extensive kit list and it was being suggested we should all be carrying more water than normal as the temperature was expected to be high. I tested several Salomon and Nathan choices as well as a couple from Decathlon but my choices would be limited so close to race day. 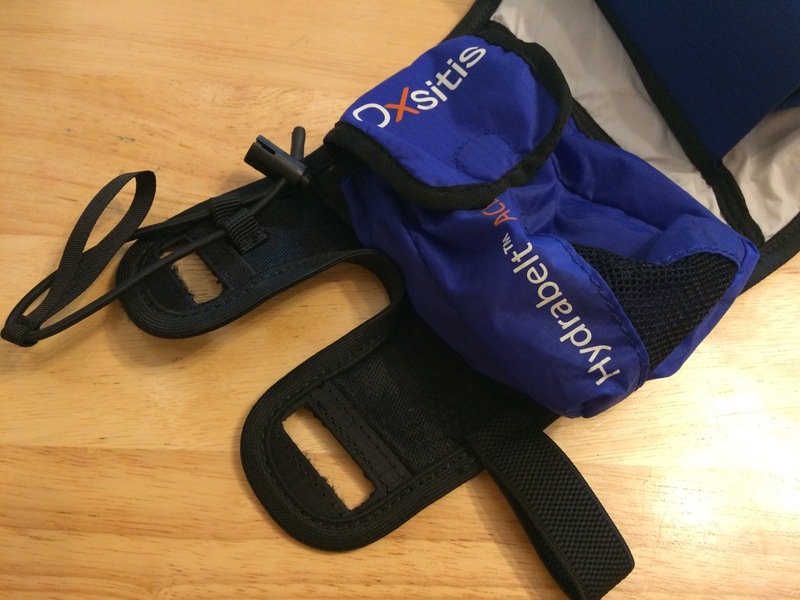 I saw the Oxsitis belt and given my positive race vest experience decided to give it a go. The first thing you notice when trying it on is how comfortable the thicker straps are around your waist and the double strap allows for easy adjustment. 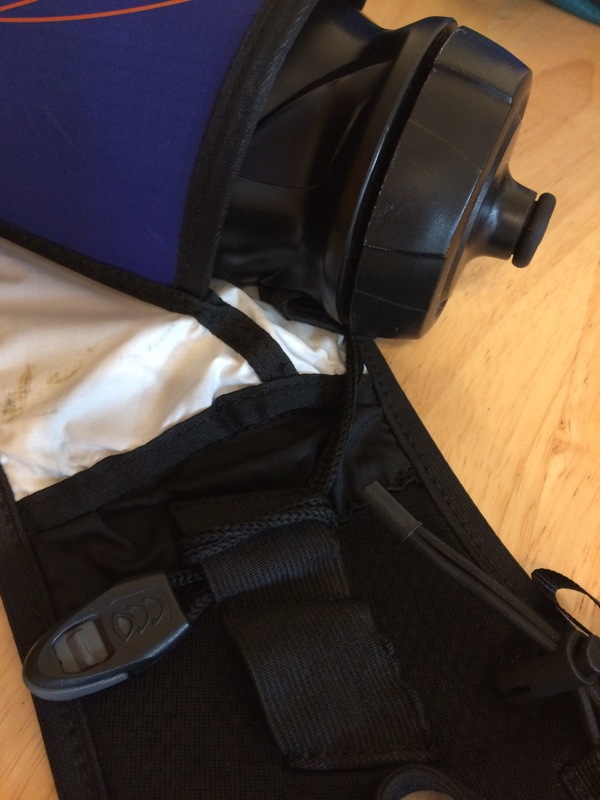 For me it sits comfortably around the waist without much fuss and I found that while running there wasn’t much movement and thankfully no rubbing. The velcro fixing also means that this should fit the smallest to the largest waist sizes in the running community without any issue. I would be hard pressed to say you don’t notice it but it’s not as intrusive as some of the other race belts I tested out. In terms of the little goodies spread around the belt there was nothing that seemed out of place. The bottle holder itself (the main feature of a purchase like this) is angled in such a way as to make access easy both getting at the water and returning it to its berth. The wider than usual bottle is also nice and easy grip and in this situation a hard bottle is best, though a UD soft bottle also works a treat. The pole holders are excellent and a welcome addition taken directly from the Hydragon vest. The hoops for this allow one z-fold pole to be mounted either side of the belt. The quick release is surprisingly spritely and because it isn’t surrounded by the pockets, as on the vest, the poles come to hand very smoothly. The main pocket has three levels – a velcro, flush to the body first section that is ideal for your phone, a large elasticated topped pocket that is the main store for food or small clothing/electrical items and a slightly smaller front pocket ideal for rubbish, gels or for me it’s perfect for tissues. Strangely the most useful thing for me though is the removable ‘rubbish bag’. This attaches to the two straps that keep you locked into the belt. The removable nature of it lends itself to two things either a) rubbish, so you have easy access for disposal and washing once its full or b) a perfect size for a medical kit (which is what I use it for). Now being a French company they’re concerned about your safety on the trails too and include a ‘space blanket’ as standard (the gold and silver version) and a stash pocket located behind the water bottle to keep it in. The obligatory whistle is the finishing touch on the safety features but would come in handy should you ever need to bang out a Bob Dylan number to scare off some wild animals. I told you it was feature packed! Ultimately this is a tremendous piece of well made, well considered kit that for about £35 seems an absolute bargain. If you want a running belt that is both comfortable and practical then this is well worth considering and if you’re looking to expand your capacity for longer adventures then you’ll find this works really well with most race vests and even sacks such as the Fastpack 20 or OMM 15. I’m not sure what kind of insight I can offer other than my own experience. Did you have a specific question? If so I can try and answer it.